This week's tablehopper: fleeing Fogust. One of my wood-fired pizzas from the weekend, with a mushroom medley (including chanterelles), black olives, spinach, and crema di peperoncino. Photo: © tablehopper.com. How you doin’? You have Olympic fever like this guy? Crazy frog! Can’t stop laughing. And then there’s this: gymnastics! Also seems like a great time to bust out this Usain Bolt spoof, which makes me laugh uncontrollably every time I watch it. Eight years of laughs from that one. I was lucky to spend the weekend in Sebastopol, celebrating the 50th birthday of my dear friend. I was on pizza duty on Saturday night, cooking 20 pizzas out of a Mugnaini wood-fired oven (my first time). Had so much fun channeling the pizzaiolo vibes of my dad and Uncle Frank, who both had pizzerias at one point. Huge thanks to Sharon Ardiana for hooking me up with Ragazza dough magic, there is no way I could have done it without her help. Now I’m fired up to take a wood-fired pizza class! Since Fogust is seriously chapping me (it always does, even after living here 23 years), I’m heading out of town again and making my way to Tahoe this week. I’ll still be running tablehopper next week (with a big piece on the Tartine Manufactory! ), while taking advantage of the peace and quiet to catch up on some other writing I need to do, plus cooking, reading, bike riding, swimming, and maintaining my Italian tan. Heh. I am having the best summer—I don’t know how this all came to be, but I am loving every single sunny minute of it. Here’s wishing you the same! 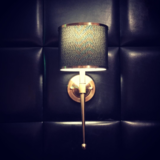 The lights are coming on at Nightbird. Photo via @nightbirdsf on Instagram. Exciting news: Kim Alter is finally opening ~NIGHTBIRD~, her first solo project in Hayes Valley, in the former Stelline and Las Estrellas location. Eater reports it should open this Thursday August 18th. Back in March, I mentioned the 38-seat room will have custom tables and chairs, with a frosted glass view into the kitchen. It will be a tasting menu format, with 5 strong courses, about 10 in all when you count the amuses, bread, and takeaway treat ($125, tax and tip included). It will change often (Alter goes to farmers’ markets daily), and look for some fun courses and whimsy with the plating and more. There is also the adjoining Linden Room: a seven-seat bar serving a menu of classic and new cocktailsl. The room feels very Art Deco-meets-New York hotel in the ’30s, with lots of woodwork, etched glass, and a carpeted floor—a muralist even painted clouds on the ceiling. The barware and glassware are also vintage. (You enter the bar from Linden Street.) Reservations available now. Open Tue-Sat 5:30pm-10pm. 330 Gough St. at Hayes, 415-829-7565. The location of Pizzetta 211’s upcoming restaurant. A breakfast plate at Bon, Nene, with toast, red bean paste, soy sauce potatoes, salad, and a sunny-side up egg. Photo via Facebook. There’s a new neighborhood restaurant that has opened in the Mission, ~BON, NENE~, in the L’Aviateur space, from Stephanie Chan and Miu Frupa. Eater previously explained the quirky name, “an amalgamation of the French word ‘bon,’ which means ‘good,’ and the Japanese name ‘nene,’ which Furuta named her dog.” The menu is built around smaller tapas-style plates, like stuffed chicken wings, chicken or tofu buns, miso beef lettuce wraps, and seafood or pork gyoza with housemade ponzu sauce. Breakfast includes a morning set menu with two pieces of toast with red bean paste, soy sauce potatoes, salad, and a sunny-side up egg. It’s a small space, about 35 seats, and it’s all about the neighborhood vibe. Lunch, brunch, and dinner are served. There are also Japanese beers (Sapporo slushies! ), wine, and more. Hours are Tue-Fri 11am-2:30pm and 5:30pm-9:30pm, Sat 9am-2:30pm and 5:30pm-9:30pm, Sun 9am-2:30pm. 2850 21st St. at Alabama, 415-872-9332. Medley of NoodleMe options. Photo via Facebook. 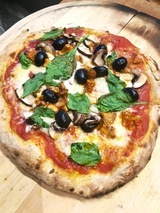 The new Sicilian-style pizza at The Mill on Wednesday evenings. Photo courtesy of Josey Baker. 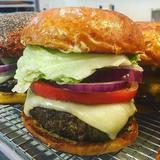 The new Wednesday burger at Mission D&A. Photo via Facebook. Some quick bites for you: first, according to an ABC license application, Lower Haight’s ~IZA RAMEN~ is expanding to open a second location in the former Triptych in SoMa. Scoop reports that Ritsuo Tsuchida will be adding more izakaya-style dishes and lunch too. Expect an opening this fall. 1155 Folsom St. at 7th St.
More noodles: ~NOODLEME~ from the Dobbs Ferry team has now opened in SoMa, serving customized bowls of takeout noodle soup for the lunch crowd. Guests choose noodles (wheat, rice, or egg), toppings (corn salsa, bean sprouts, and more), broth (pork or mushroom), and flavor (like XO habanero or red curry), plus add-ons like prawns or spicy tofu. You can also order your bowl like a salad. Open Mon-Fri 10:30am-3pm. 333 Market St. (enter on Beale), 415-974-5544. Fans of ~BATTER BAKERY~ should know that the eight-and-a-half-year-old bakery has moved and opened in a new space in Nob Hill. The bakery and café has large windows; a custom bakery case full of cookies, scones, shortbread, ice cream sandwiches, cakes, take-home doughs and batters; and a rotating menu of seasonal desserts. There’s also a café menu with breakfast and lunch options, including quiche, overnight oats, breakfast quinoa, and a biscuit breakfast sandwich. You’ll also find espresso drinks (made with beans from Equator Coffee) and affogatos. Look for evening baking and cookie decorating classes come fall. All production for Batter Bakery’s San Francisco locations will take place in this new space. Other Batter locations include the kiosk at 555 California Street, a retail shop at One Market Plaza, stands at Saturday’s Ferry Plaza Farmers Market and Sunday’s Stonestown Market, and a small satellite in Portland. Open 7am-7pm daily. 1517 Pine St. at Polk, 415-674-1069. And yes, it really is end times. The stunning and historic Jack’s space, built in 1907 with roots that date back to 1863 (it was most recently Jeanty at Jack’s from 2002-2009), will be opening by the end of the year as a coworking space for 400 freelancers and travelers called ~BAR WORKS~ (it’s an import from New York). Eater reports they bought the landmark space for $3.55 million. The former home of San Francisco’s second oldest restaurant, a gorgeous wedding cake of a space, is to be filled with ugly office furniture. All of this, I just can’t. 615 Sacramento St. at Montgomery. 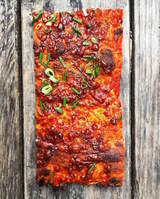 Let’s focus on something more positive, like the new Square Slice Wednesdays happening at ~THE MILL~. Josey Baker tells me they are using all flour that’s freshly milled on their new custom grain mill that he has been building for the past year—it’s all 100 percent stone-ground whole grain and Cali grown. And to make things even more fun, he’s doing Sicilian/pizza al taglio/slab/sheet pan pizza. Slices are $4, a whole pan is $30, and there are seasonal salads for $7. This Wednesday August 17th is Early Girl tomatoes, buffalo mozzarella, and opal basil; August 24th is potato, rosemary, whole roasted garlic, Parmesan, fresh herbs; and August 30th is summer squash, piment d’Espelette, parsley oil. 6pm-9pm on Wednesdays. Also, Wednesdays are now burger night at ~MISSION D&AMP;A~ (the former Roosevelt Tamale Parlor). The burger is made with grass-fed beef and comes on a potato roll ($13); there are also fries, pickled vegetables, and a couple of desserts, like Banoffee pudding. FiDi breakfast (hi, brown sugar-brined and house-smoked McFarland Springs trout on housemade avocado mousse toast) and lunch spot ~HOMAGE~ has launched Twilight Hour, an entirely new service and menu Monday-Friday from 3pm-9pm. Come by for a bite of five gougères for $5, large boards of cured meats (various prices and sizes), Parmesan and smoked tomato cocktail meatballs ($12), and a range of special cheeses. You can enjoy some bubbles or a glass of rosé from Provence, draft beers, and there are aperitif cocktails created by Christopher Longoria of 1760, like the 88 (Alvear fino sherry, Bonal, celery, extra dry vermouth, and lime). Check out the menus on their website. And enjoy the free and fast WiFi. 88 Hardie Pl. at Kearny, 415-800-8741. Tony Bennett is turning 90, and leave it to ~HUMPHRY SLOCOMBE~ to create a limited edition flavor, Duet, in honor of the festivities taking place on Friday August 19th, when a Tony Bennett Commemorative Statue will be unveiled. Yay, you can try the flavor at both HS shops from August 19th-21st. It has Tahitian vanilla ice cream swirled with limoncello sorbet and housemade fennel biscotti—it was inspired by Bennett’s Duets album. Mr. Bennett will be in town over the weekend for a number of festivities. Gilberth’s dining room. Photo via Facebook. After going through a number of tenants, the folks behind ~SECOND ACT MARKETPLACE~ are calling it quits—the last day is Sunday August 28th and they will be offering it for lease. One issue has been the lack of commercial kitchen space for their tenants. Anchor tenant Anda Piroshki announced that it had to cease operations due to a triple increase in their commercial kitchen rent. Betsy and Jack Rix will continue to operate Second Act Events in the back space, hosting musical, theatrical, and comedy events; it will also be available for private party rental. Best wishes to all. A note from Gilberth Cab that after 10 years in Dogpatch, the home of awesome pupusas, ~THE NEW SPOT~, is closing. But good news: The New Spot is “joining forces with Gilberths Latin Fusion [previously Gilberth’s Rotisserie and Grill] at 2427 3rd Street in Dogpatch still, and creating an awesome Latin eatery.” Stand by for updates on the menu soon. 2427-2429 3rd St. at 20th St., 415-913-7163. Deep condolences to the ~SONS &AMP; DAUGHTERS~ team, who sadly lost one of their line cooks, Frank Galicia, to a horrible and yet-to-be-solved crime (he was tragically murdered and found in a stairwell at Westfield San Francisco Centre). The S&D team is currently running a GoFundMe fundraiser for Galicia’s family, who had to relocate from Los Angeles to the Bay Area to be here during the investigation. Here’s hoping there is a break in the case soon. The airy interior of Bodega, photo taken at an opening party. Yelp photo by Timothy B. Now open in North Beach is the welcoming ~BODEGA~, serving Fort Point Beer (on draft and in cans), South American wines, an apple cider, and coffee from Linea, plus an array of small plates. Owner Paria Sedigh took over the long-standing (over 15 years) Melt! space and gave it quite the airy and clean makeover. She comes from an entrepreneurial family and has experience with catering and other food businesses. With her chef, Lalo, they are offering a seasonal menu driven by the farmers’ market, plus dishes like toast with ricotta and saffron honey, avocado toast with the option of a poached egg, ceviche (currently with rockfish), and a Bodega bowl with brown rice or quinoa and vegetables, plus the option of adding an egg, avocado, and salmon. Hours are Tue-Sun 10am-10pm for now. 700 Columbus Ave. at Filbert, 415-634-7002. The newly formed Stud Collective. Mwah! Photo via Save Our Stud Facebook page. 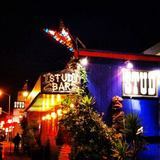 Bar owner Michael McElhaney will be selling the Stud (after 25 years!) to The Stud Collective, a group of 15 members. Here’s more: “While most members of The Stud Collective are known for their work in nightlife and the performing arts, secondary business skills were a requirement to join the co-op. Members include leaders in bar and restaurant management, public relations, accounting, historic preservation, arts funding, and land development.” Here’s hoping the new building owner will give the co-op a market-value lease so they can keep the lights on at this historic, precious, and essential LGBT nightlife space for another 50 years. Read more about the co-op, its members, and more in this Facebook press release/post and article in the Bay Area Reporter. Be sure to join the Save Our Stud Facebook group to keep up with all the latest. Now head on down there and buy a round of drinks! 399 9th St. at Harrison. In other news, a tablehopper reader let us know the ~EL AMIGO~ bar (3355 Mission St.) in Bernal has closed, in addition to the sister restaurant, Chicano Nuevo, in the original Emmy’s Spaghetti Shack location (18 Virginia Ave.). It looks like the owner of the building has sold it, so we’ll have to wait and see what’s going into these spaces next. There are some changes to report at the old-school ~FLY BAR~ locations around the city. Both locations have been sold to separate parties, and the new owners of the Divisadero location have decided to keep the name and original staff, although they will be closing for an upgrade at the end of August. The kitchen will be getting an overhaul and some other enhancements and should reopen after a few days. 762 Divisadero St. at Fulton, 415-931-4359. As for the Fly Bar on Sutter, it was sold a couple of weeks ago, and the new operators, Mark and Terry Miller, should be taking it over and closing it in three months or so (probably the beginning of November). They will close the space for a couple of months for construction (I hear they will be removing the horseshoe bar) and will reopen as ~MILLER’S~, keeping it a neighborhood bar and restaurant. I’ll keep you posted as I hear more on this. For now, you can still swing by and hang out with the Fly staff for some final-finals! 1085 Sutter St. at Larkin, 415-441-4232. 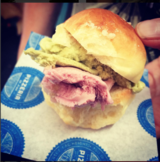 Pstachio and raspberry gelato in brioche by Pizzeria Delfina at last year’s Eat Drink SF. Instagram photo by @tablehopper. Prepare thy liver and pop that Lipitor, because Eat Drink SF is back, running the weekend of August 25th-28th. It will be held once again at the Festival Pavilion at Fort Mason, with plenty of room for more than 160 participating restaurants and more than 70 bars (including the Buena Vista Café, who will be serving their famous Irish coffees featuring Tullamore DEW), distilleries, breweries, and wineries at four Grand Tasting sessions. There’s also the Taco Knockdown presented by Milagro Tequila kicking things off on August 25th, and 23 culinary, wine, and cocktail demonstrations during the weekend. VIP and General Admission tickets for the Grand Tastings are available (although Saturday night VIP is sold out). TASTE the largest collection of Latin American wines and spirits from Argentina, Brazil, Chile, Guyana, Mexico, Nicaragua, Peru, and Uruguay at the Latin American Wine & Spirits Tasting on Wednesday September 7th. More than 200 selections will be featured. Plus, you’ll have the opportunity to rub shoulders with countless winemakers and distillers from across the continent. It’s an absolute “don’t miss” event! Pisco sours, juicy malbecs, brooding tannats, anyone? Master Sommelier Evan Goldstein will also be available to sign his latest book, Wines of South America. Get your tickets before they sell out for the Latin American Wine & Spirits Tasting at Sir Francis Drake Hotel on Wednesday September 7th, 6pm-8:30pm. Tickets are $36 for tablehopper readers with code THOPPER (40 percent off regular $60 tickets!). Learn more at LACSF2016.eventbrite.com. One lucky tablehopper reader can win a pair of tickets to the Latin American Wine & Spirits Tasting (retail value: $120). To enter to win, all you need to do is forward today’s tablehopper newsletter to two friends (but even more would be so very fabulous) and add a note to your friends about the Latin American Wine & Spirits Tasting! Be sure to Cc: or Bcc: me at luckyme@tablehopper.com so I know you sent it—I promise I won’t use anyone’s email address. The deadline to enter is Sunday August 21st at 11:59pm. We’ll notify the winner soon thereafter. Good luck! A couple of weeks ago, feminist, activist, and Harry Potter star ~Emma Watson~ had breakfast with a male friend at Caffè Union in Cow Hollow.